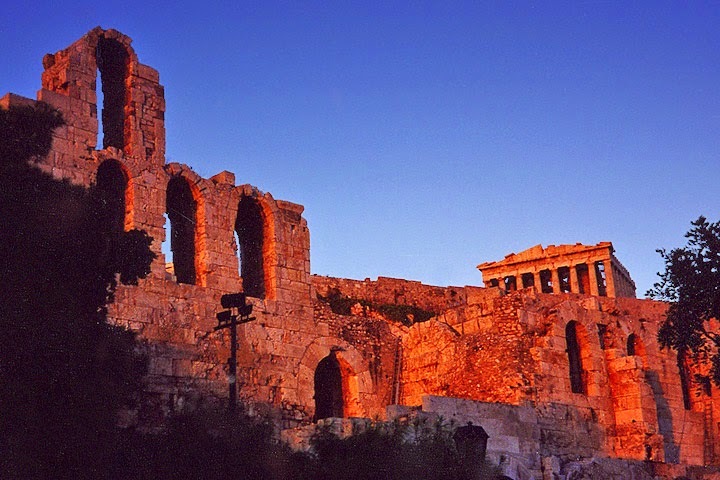 Translation Tribulations: IAPTI 2nd International Conference in Athens! 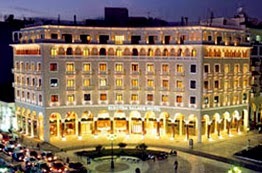 Registration is now open for the second international conference of the International Association of Professional Translators and Interpreters (IAPTI) to be held on September 20 and 21 this year in Athens, Greece at the beautiful Electra Palace Hotel Athens (Plaka) under the lights of the Acropolis. Further details on the schedule and speakers will be published soon, but places in the event hotel are already growing scarce, so you might want to register soon at https://www.eventbrite.co.uk/e/2nd-iapti-international-conference-tickets-8549360367. I will be speaking at the event in a talk titled "Confessions of an American MpT User" in which, among other things, I come clean about how Google Translate has improved my life. Well, given that MpT interests try to hijack the agenda of most translation conferences and university education programs lately, IAPTI probably felt that more than one talk promoting tradução automática would just seem copycat. I'll do my best to highlight the real value to be had from that technology while the rest of the program is unfairly dominated by old-fashioned professional translation stuff, the sort of thing the snake oil advocates like JvdM find so dull because they can't do it. You lost me there, Maria. When was the deadline for submitting proposals? Having been involved in speaker selection for the TM Europe Conference in Warsaw a few years ago, I understand what a difficult process it is to handle all the myriad applications to speak at translation conferences these days, particularly to screen all the proposals from Ph.D. students wanting to get off in public with their MpT theses which all sound the same. No, Mr Vashee, you submitted your proposal on May 12 at 3:04 pm ET. That is 12 days late. Are you surprised they were not interested? As long as you represent a company that publishes texts (promoting their services) like "Case Studies have shown that users of Language Studio’s MT can expect an increase in profit margins coupled with a decrease in required human resource costs", I think it doesn't look like a desired match for a conference of an association like IAPTI (representing people, not companies) which actually tries to promote/support *increase* of "human resource" income. You are correct it was late. I had somehow thought the deadline had been extended. I apologize for the delay in my submission. I hope you have a good conference. Actually, Kirti, for personal reasons I'm a little disappointed you won't be speaking there this year. I haven't forgotten the wonderful evening where you fed me so many good music links, and I would probably enjoy nothing more than saying "screw translation" for the evening and seeing more of the gold in that particular cultural mine you own :-) And there's not much to beat an actual face chat on most things. It's just something our schedules allow too little of, alas. Kevin, I am sure we will get a chance in the future and I too look forward to it, as I think what is magical about face to face contact, is that most of us tend to focus on what we have in common as humans rather what we don't as translation business professionals. I actually play improvised music frequently in the LA area and I know that music brings people together like few other things can, even when you just sit and listen together. The deadline was April 30, Kevin. Ah... well, Diana, as you know well, in the field of machine pseudo-translation (MpT) and human assisted machine pseudo-translation (HAMPsTr), different standards of precision apply. It's not a science after all. This was a high fuzzy match in the same quarter of 2014. You must make allowances :-) And don't forget the repetition discount for future occurrences!